1) Plan Early - Need we state this again: Plan Early! The earlier the better as there are many benefits from a party that is well thought out, including loads of savings! Planning early means emailing everyone who is planning on attending so you can see the bachelor count of what you are dealing with number wise. Order the bachelor party supplies early so you can save in shipping or have free shipping, no sales tax and get a free bachelor party gift in your order. Waiting too long will increase the shipping amount due to having to go priority 1-day shipping which can be expensive so get the supplies early. Early bachelor party planning also increases methodical planning to know where and when you are going to see about saving money at every stop and on entertainment which we will address below. It is very similar to shopping at the grocery store without a list; you will always spend more so put the list together and act on it early! 2) Online Deals - In today's economy, you can find better deals online than going into a store. 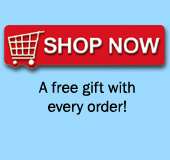 For instance, this site offers free shipping, no sales tax, the lowest prices and a free bachelor party gift. No other place does this for bachelor party supplies which is a huge savings. In addition to this, look for other great values wherever you are going such as a restaurant, bar, bachelor party limousine etc. Type in what you are looking for followed by the words "discount" or "coupon". You may just find some great savings. 3) Volume Deals - This is a buyers and groomsmen's market to get what you want at a great price. Call the places you want to go to and the services (i.e., limo company) you want to use, letting them know how many groomsmen are going and what the "best" rate they can do for your group. Everyone is vetting for your business so you should come up smelling like roses in how much you save by calling and getting the best rates, not the rates they post! 4) Bachelor Party Money Collecting Strategy - Here is where it always gets tricky as there is always some putz who will state they will pay you when they see you and it becomes the running joke that you turn into a loan collector! It is important to find out the general expenses early on in the planning mode, get everyone's email, and let everyone know early what their needing to chip in, giving a date it is needed by and an address to send the money! Don't feel bad about bugging some of the groomsmen who are hesitant to pay up, unless they have a financial issue with the bachelor party event. Get a group of guys together to work as a team to collect the money so no one is left behind and that no one has to chase collections at the bachelor party itself (which is the norm). Communicate early and make sure you don't get stuck with the stragglers. For my bachelor party, my brother got stuck paying an extra 100 bucks due to some free loading friends which didn't have to happen if we collected early. 5) Home Bachelor Party - I have been to many at home bachelor parties that finally end up at a bar. This is a great way to start off saving money by bringing in Pizza and beer to start and then getting some sober transportation to your nearest watering hole that is local. Dress up the room with bachelor party munchies that can also be used as decorations on tables. Play some bachelor party games and have a memorable time no matter where you are! It doesn't have to be extravagant for us guys to have fun! 6) Bachelor Party entertainment - If you are planning on having some bachelor party entertainment make sure to tell them that you got them from our site as we are the watchdogs of the bachelor entertainment community. We will dis any company not meeting up to their obligations and have created a bachelor party entertainment directory to give you tons of information and reputable companies to choose from that charge fair rates. Call us if you have questions and we can help out as we have planned over 10,000 bachelor and bachelorette parties. 7) Pre-Party Planners - It is always fun to have a pre-bachelor party planning session that gives you another reason for a get together but also can save money by brainstorming and helping each other out. Most of us work or go to school so the extra help can assist with the expense of time you are outlaying to be a responsible planner. Bring others in to help out and it will save money one way or another. 8) Networking / Social Media - Social websites including Facebook, MySpace, LinkedIn and Twitter are the way of the world. Use your networking ability to send questions out there to your friends on who has some deals on great restaurants, bars, entertainment, etc since your network can work for you in saving money! You may find one of the groomsmen who has a brother owning a top club or limo, entertainment firm that was used before and was excellent, or even a beer and wine distributor who will give you a deal! Reach out and you will find deals! That is the best way to use your social media network. 9) Start the Murmur - A fun and cheap way to start some bachelor party memories is by starting a free bachelor party blog about the groom to be and place the information on the where, when, and how the bachelor party will take place. Load up appropriate pictures to get everyone excited and allow everyone to post. This is a great way to give an online memory book to the bachelor on his last night out planning and getting ready for the time of his life instead of his life sentence when he is married! 10) Free Bachelor Party Gags - A great time at the bachelor party is to play gags on the bachelor which make the party that much more fun! Memories are free and you can make a lot of them at the bachelor party so start to plan early and have a raging time! We hope this bachelor party budgeting section helps you out with your bachelor party planning. Let us know by emailing us at bachelor@bachelorpartyfun.com and have a wicked time!